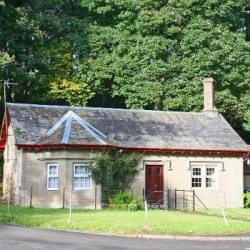 Craigton Cottage, a listed building situated just off the main Dunkeld to Blairgowrie (A923) road at the east end of the village of Butterstone, was completely renovated in 1988 to provide fully modernised accommodation for two. 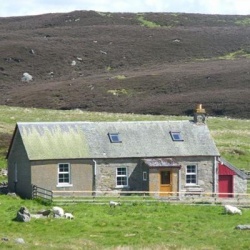 Craigton Cottage makes an ideal base for touring, golfing, fishing walking and bird watching holidays. 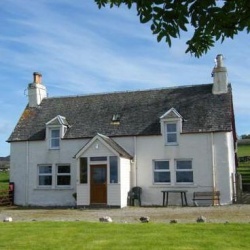 Whilst staying at Craigton Cottage you can enjoy the private facilities at Laighwood, including a game of squash on our private court or a spot of fly fishing for wild brown trout on our private hill loch. The excellent facilities of some of Perthshire's finest towns are all within easy reach, including Dunkeld (6 miles) with its historic cathedral and Pitlochry (16 miles) with its famous theatre and wealth of shops selling quality Scottish goods and produce. Electricity is extra according to meter reading. There are supermarkets in Dunkeld, Blairgowrie and Perth but if necessary we can arrange groceries to be delivered to your cottage on the day of your arrival, if you send a detailed list. 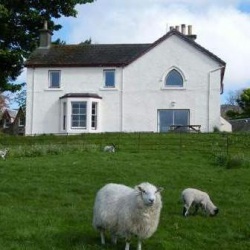 Please note that we are unable to accommodate dogs at Craigton Cottage. Which cottage are you enquiring about?